I Don’t Get It is the new indie track by local Perth faves BOAT SHOW. 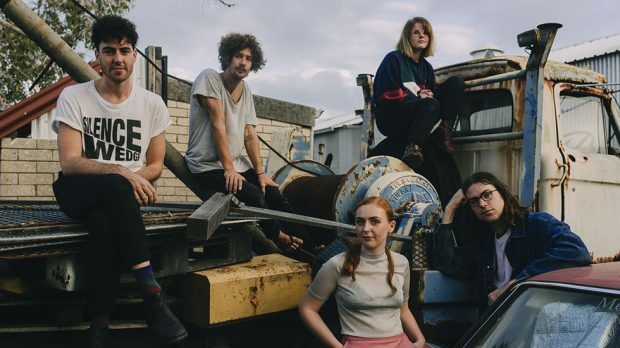 In the track, Ali Flintoff and co have steered away from femme protest and irate observational songs and have taken to matters of the heart, with Flintoff exploring unrequited affection and infatuation. Of course, these themes are not any less universal than songs such as Cis White Boy or Staying Alive, and like those tracks, I Don’t Get It comes from personal and experience-driven places which resonate with a wider conscience. The sentimentality behind I Don’t Get It is more vulnerable than we are used to seeing from the band, but it’s not just the themes that are different, musically the song is a different direction to their two albums Unbelievable and Groundbreaking Masterpiece. I Don’t Get It is slower and more melodic, the pop-punk brand the band have become renowned for has taken a more indie, garage and psych turn. To celebrate, BOAT SHOW are touring I Don’t Get It nationally, including shows coming up this weekend at The Aardvark in Fremantle on Friday, November 30 and Margaret River on Saturday, December 1. See you there. I Don't Get It "Offical Video"
I made some eggs. Mum filmed it. Now it's a rlly cool video lol. Maybe the best music video ever.